Palazzo Versace Dubai is a neoclassical masterpiece built in 2015. It has subtle traces of the Arabic architecture and looks like the 16th century Italian Palace. It is a 5 star property featuring a striking entrance, landscaped gardens and Italian furniture symbolic of the Italian lifestyle. So if you are looking for a 5 star property with palatial look and Versace lifestyle in Dubai then this is it. The luxurious property is spread in an area of 26038 sq. Ft. 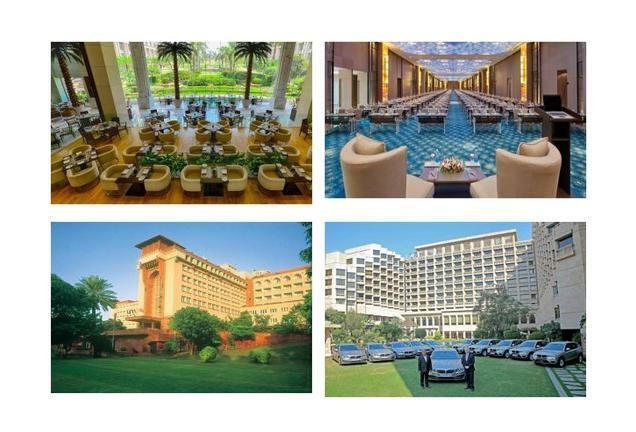 The property is managed by the renowned and experienced Preferred Group of Hotels and Resorts. With almost 50 years of experience it comprises of more than 650 independent Hotels and Resorts across 85 Countries. It has its headquarters in California and 40 Sales offices worldwide. The hotel has a total of 215 luxurious rooms and suites and 169 residences. The furniture used in Pallazo Versace Dubai has been exclusively designed and custom made by Versace. The staff here speaks English, Arabic, Chinese and Hindi, French, Russian, Portuguese, Thai, Spanish, Turkish, Ukrainian, And Urdu. Taj Dubai is strategically located on the water front development and in the heart of Culture Village giving an unobstructed view of the creek as well as the culture village. It is less than 15 mins from the Dubai International Airport and around 8 mins from the Burj Khalifa. It is conveniently located on the shores of Dubai Creek. On arrival they welcome by the striking ‘Petra di Fiume’ design of the iconic Medusa. The hotel has its furniture custom made from the Versace. There are 3 outdoor pools with glass mosaics and surrounded by palm trees. The luxurious rooms are spacious bright and elegant and are specially designed by Versace. The linen and the upholstery is also fashioned by Versace. The hotel has 8 delightful contrasting Versace themed restaurants and bars. Mosaico– Confectionary providing all day menuGazebo – It is a sheesha lounge located in the east wing of the hotel facing the Ischia pool. 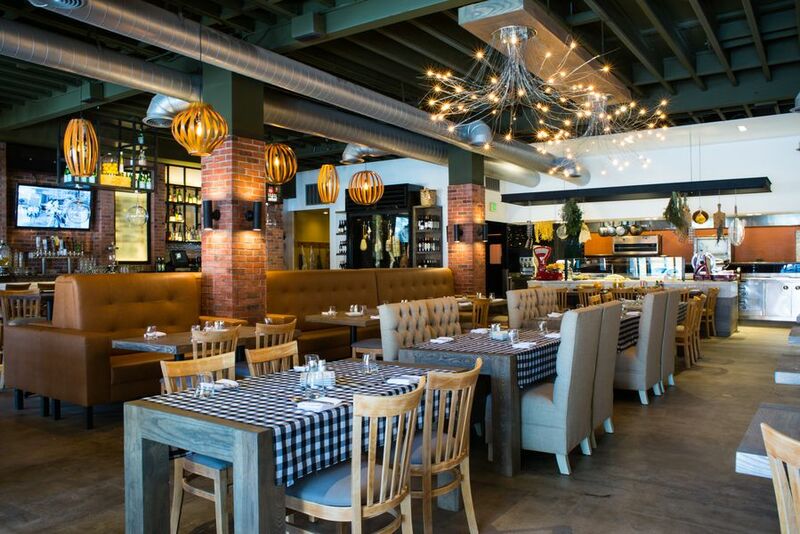 Giardino – Enjoy the luxurious International cuisine in an expansive outdoor terrace. Q’s Bar and lounge – It is Quince Jones’s first ever bar in Dubai and the most famous for its live entertainment shows. La Vita –It is a smoke free bar with themed nights and Happy Hours. The hotel provides swimming lessons, 3 outdoor pools State of the art gym, Kids club, and much more. It provides a complementary photo session with the falcon in he lobby. It provides a lost and found service in case you accidentally lose some of your personal belongings. 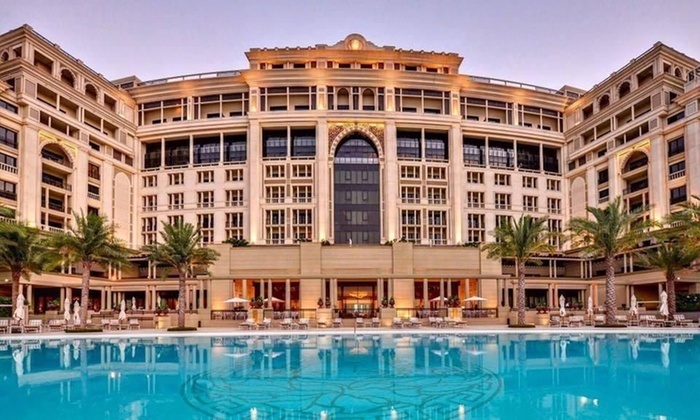 The luxurious property of Palazzo Versace Dubai finest of the facilities to make the wedding a memorable experience of you and your guests It provides a choice from 3 course menu giving finest culinary experience to the guests. 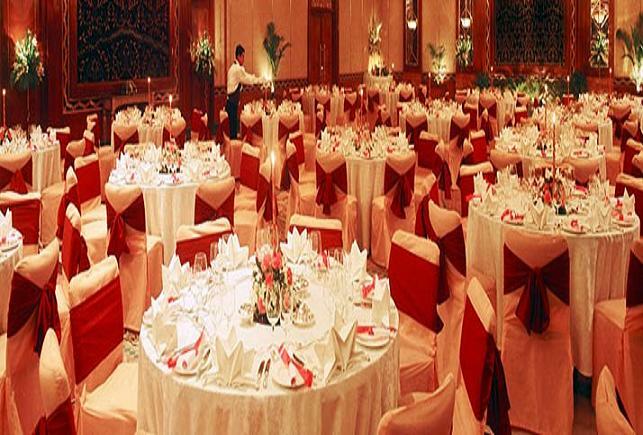 Facilities like floral arrangements, couple spa treatment, wedding planner and huge menu makes it a most sorted for property for wedding wedding venues and other social functions.